Modrý zub was one of the first Asian restaurants in Prague. 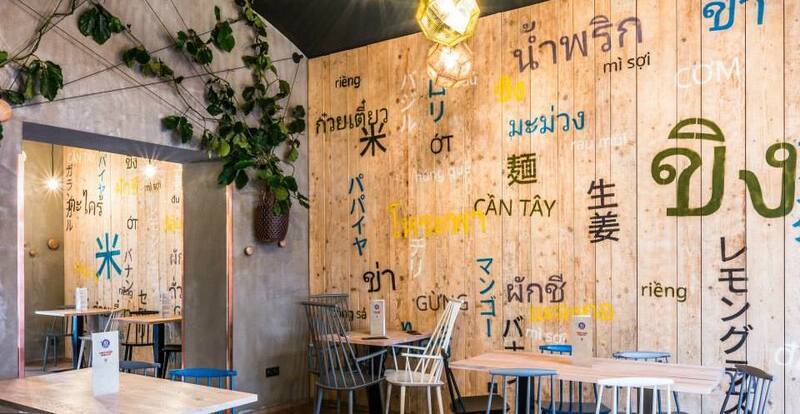 Over the course of the more than twelve years they’ve been in business, the Thai restaurant has opened three branches in addition to its first one and expanded to other types of Asian cuisine. The authenticity of their cuisine is very important to them and you’ll find only Asian chefs in all of the Modrý zub restaurants. "We switched to Storyous with the arrival of the new regulation on electronic records of sales (EET). At the time we were missing a few functions we wanted but it was great that we could discuss all of this and have the system modified according to our needs. We were in fact the first larger restaurant to work with the Storyous POS system and together with the company we developed a number of new functions." Do you need help with your POS immediately and you don’t know what to do? With your consent, we can connect to your system and help you set up anything you need. The portable scanner uses Bluetooth technology. This enables you to automatize margins via EAN codes into the cash register. The ideal helper for selling goods and your own products. The system recognizes various payment options. You can pick payment by cash, card, electronic meal voucher and other types you use. Your receipts then will be categorized according to different payment options in your closing balance.